So here we are, almost six months into 2011. The weather’s getting warm, the days are getting longer, and most of us are spending a lot more time indoors than we thought we would be when we signed up for those spring beach body workouts (you know you did). In the summer months we all need a little something extra to get us through cubicle confinement, not to mention those dreadful commutes in which your skin becomes practically bound to the seat upholstery. The solution? As always, it’s good music. We’re not talking about the stop-and-play of surfing YouTube or your favorite blogs. We’re talking long players that you can bump from start to finish. 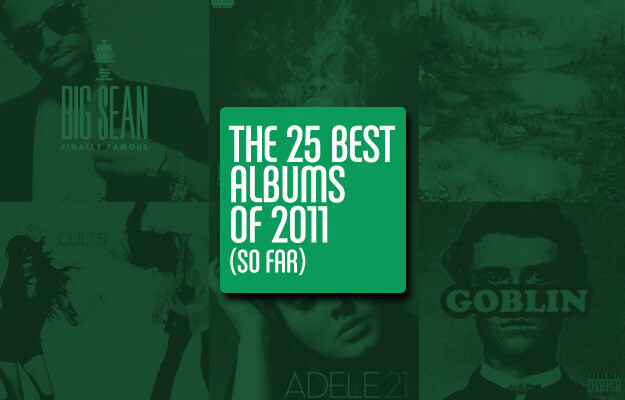 That’s why after taking into consideration every album, mixtape, and EP that has dropped since the year began, we’ve carefully chosen The 25 Best Albums Of 2011 (So Far). Whether you’re a fan of the indie scene or like to vibe out to the mainstream stuff, we’ve got you covered. Written by Insanul Ahmed (@Incilin), Julian Pereira (@Broadway_Jay), Andre Grant (@drejones), and Mark Iraheta (@thekidLEGEND).